Longtime Neil Young bassist Rick Rosas has died at the age of 65. 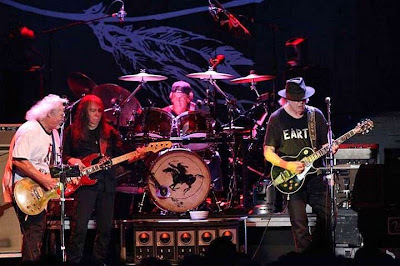 Young fan site Thrashers Wheat reports Crazy Horse drummer Ralph Molina broke the news on Facebook Thursday evening. More details, including a cause of death, had not been revealed at press time. Rosas’ lengthy career includes work with Joe Walsh, Ron Wood, Johnny Rivers and Jerry Lee Lewis, among others. Rosas played bass on Young’s 1989 classic, "Rockin' In the Free World." Affectionately known as "Rick the Bass Player", Rosas recently filled in on the Neil Young & Crazy Horse tour of Europe after Billy Talbot had suffered a stroke.